The MET/SUPPORT Gold annual membership program provides premier support services that help you fully uncover the full power of your software and become a more productive MET/CAL and MET/TEAM software user. With the access to technical experts, the most up-to-date software, access to a large library of warranted procedures, you have the peace of mind that your lab operations are always up and running at the highest efficiency and compliance. Use only a few of the Gold services and you can easily recover more than the cost or your annual membership fee. 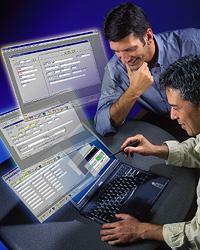 A special web site » is available to support Fluke Calibration Software customers. 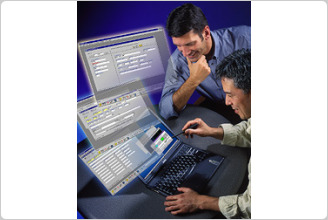 This site contains information of interest to users of Fluke Calibration's MET/CAL® and MET/TEAM® programs. Most of this site is open to all MET/CAL® users; however certain areas are reserved for MET/SUPPORT Gold customers. These special Gold members’ areas include access to download the latest version of MET/TEAM and MET/CAL software, as well as the Warranted Procedures library. The procedures in the MET/CAL® Warranted Procedure Library have been carefully written and tested in accordance with manufacturers' recommended calibration procedures. They provide the extra assurance of quality that our customers have requested and are normally available only on a cost-per-procedure basis. MET/SUPPORT Gold members have free unlimited access to the Warranted Procedures Library, a valuable benefit that will save you time and help increase your productivity. New procedures are developed and added to the library regularly. View the current listing at the MY MET/SUPPORT membership center. Learn more about MET/CAL Warranted Procedures. * Additional items are required to be purchased based on the version you have. Please click here to find the requirement in detail. MET/SUPPORT Gold customers have direct access to download latest version of MET/CAL and MET/TEAM software. This could include major releases and/or minor software updates and patches. Gold program members can upgrade to any new version of MET/CAL® and MET/TEAM® released during their enrollment period - free of charge. Major software releases typically occur every 12 months, and minor updates happen a few times during the year. With immediate access to software upgrades and updates, you have the peace of mind that comes from knowing you will always have the most current version of the software, plus priority support to help you get it up and running. We'll include a 20% discount on any calibration software training course you schedule within your active Gold membership. Our experienced trainers combine lectures with hands-on experience in a small classroom environment that provides personal attention and encourages group interaction. If you don't see the procedures you need in our procedure library, we can develop them for you. Our highly trained software engineers will create the right procedures for your workload upon request, saving you time and effort. With your Gold membership, now you save money as well - MET/SUPPORT Gold members are eligible for procedure development discounts of up to 20%. Your quality process may require maintaining a quality assurance or testing server to ensure operational requirements are met before implementing a new versions of software. MET/SUPPORT Gold members can request licenses for their QA or test server that are active within the duration of their membership period. Your system administrator account has access to secured functions in MET/CAL and MET/TEAM. If you lose access to this functionality due to a lost or forgotten password, we’ll help you reestablish access at no charge. And if your database ever becomes corrupted we can help you as well. Who is eligible for MET/SUPPORT Gold? The MET/SUPPORT Gold program is currently available in the United States, Canada, Mexico, Central and South America and Europe. Customers in other countries should contact your local Fluke representative for availability of the MET/SUPPORT Gold program in your country. Our ability to offer MET/SUPPORT Gold in the Asia Pacific region is subject to the availability of local resources and will continue to be further developed. For support of more than four workstations, multiple databases, or multi-year contracts, contact your local Fluke Calibration representative.